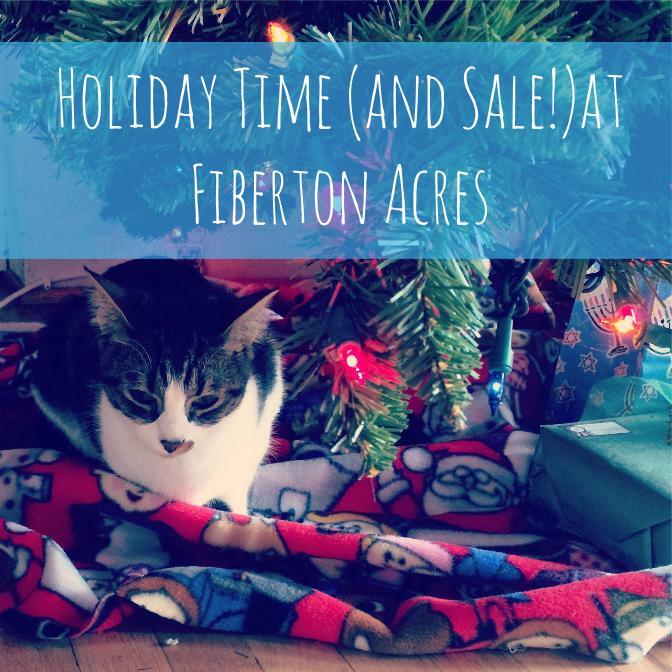 Fiberton Acres Blog: Holiday sale at Fiberton! It is definitely the holiday season! This evening it even rained here on the Central Coast of Cali, which is kind of the closest we get to winter weather! I wasn't sure I was ready for the cooler weather, but I broke out my big crazy bulky knit house socks and my sweaters and I am feeling pretty good about it now. 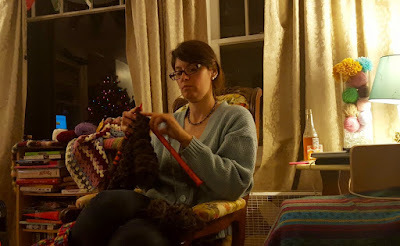 Plus, it is kind of the best time of the year to be in the fiber arts! Speaking of which, we totally want to extend the fun and cheer to our awesome blog readers with a little sale at our Etsy shop. We already have a deal going right now that if you buy a hook or needle organizer, an upcycled project bag, or a ball of yarn you get a free hand carved crochet hook. BUT...drumroll please...for all our awesome blog readers, we are offering free shipping! Just use the coupon code "secret" (wink wink) at checkout now until Dec 18th! Check out our shop here! I have been working on new yarns which will be up on the shop tomorrow, as well as knitting some cowls with fibers we spun and lovely chunky buttons we made. Drop spinning alpaca by the tree. We hope the season treats you well!